1) The first is the broadening recognition that startups with female leadership are more successful than those run by men only... by good measure... by some pretty significant players in the space. 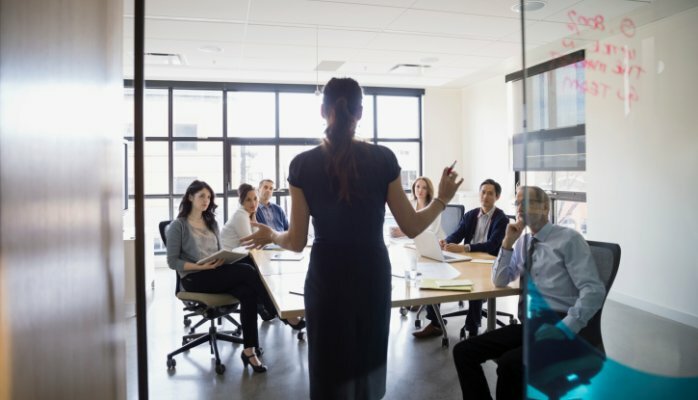 First Round Capital recently reported 63% better performance by its companies with women leaders than by all-male leadership teams. 2) Look around, and you're beginning to see a critical mass of inspirational, successful female entrepreneurs, leading the way and providing examples. They've founded and run businesses such as 23andMe, Rent the Runway, TheRealReal, Birchbox, Spanx, Stitch Fix, Dry Bar, BaubleBar, Tory Burch, The Honest Company, Houzz, Lynda.com...[i]. You get my point. And the list gets longer every day. No playing by the boys-club rules for these entrepreneurs. No asking permission. And they are forever banishing the concept that women's businesses are supposed to be little or cute or limited to small-scale, home crafts. Or make-up. And their success is resonating, such that when I'm on business school and college campuses, entrepreneurialism is discussed at every meeting I have with female students. 3) There is a growing ecosystem supporting women entrepreneurs and women-owned businesses. These provide some combination of coaching, networking, instruction and introduction to funding sources; they include Astia on the west coast, Springboard on the east coast, and EY's Entrepreneurial Winning Women initiative. And women's networks that can provide entrepreneurs with valuable peer and business connections include my own Ellevate Network, as well as other professional women's networks, such was Upward Women, Women 2.0, and Levo League. Underpinning the emergence of these organizations, and entrepreneurial women supporting each other, is a growing recognition that it's not just one or two or three female entrepreneurs who can be successful, as in the old days of one-seat-at-the-table-for-a-woman in corporate America. Instead, there is room for the pie to grow and for us lift each other up. A strong women's entrepreneurial network may be just as important as any other network, given the idiosyncratic challenges that female entrepreneurs face. 4) The cost of technology is coming down fast, enabling entrepreneurs to start businesses in ways we simply couldn't even a handful of years ago. An example: the technology and client platform at Merrill Lynch (all proprietary, all whiz-bang) cost hundreds of millions of dollars to build; by some estimates it cost more than $1 billion. A few years ago I met with an entrepreneur who had put in place a platform that replicates parts of what the Merrill platform does. Not all of it; not as well, I'm sure. It cost him $25 million. Today, my team and I are building Ellevest, a digital investment offering for women. The first version of the platform — with many fewer features than those two, to be sure, but doing the same underlying thing — will cost not $1 billion, not $25 million, but $2 million to build. Big difference. And not possible 10 years ago. Or five years ago. Or, for some features of the platform, even six months ago. 5) The other costs of running a business are also coming down. Think freelancers for certain functions, instead of full-time employees. Think short-term shared workspace rentals, at places like WeWork, rather than crushing long-term leases. Think outsourcing some of the HR and accounting functions. Think videoconferencing services, such as FaceTime and Google Hangouts, as opposed to business travel; think on-demand user testing instead of expensive focus groups; and think cloud services instead of software licenses and physical servers. 6) Entrepreneurialism is no longer just for the young, but is becoming an equal-opportunity opportunity, expanding its impact. I'm increasingly seeing that women "of a certain age" are finding that, after the kids head off to college, they have oceans of time (particularly compared to the balancing act of kids and work and "having it all" and the "never letting them see you sweat" ethos of women-at-work for so many years). And women are living longer. And they have valuable experience. And they have the financial means to take on some business risk. So this opens the entrepreneurial wave to more than just younger women. Think Arianna Huffington and The Huffington Post. Think Joni Evans and her crew of women in media who founded wowOwow. Think Deborah Jackson, who founded Plum Alley. OK, put me on the list too, having come to entrepreneurialism in my 40s. 7) There are more sources of funding for women entrepreneurs. Sure, the venture capital numbers remain appalling... and don't show much sign of changing... yet. But crowdfunding is now being opened up to more investors, and women entrepreneurs are as, or more, successful than men-run businesses in this arena. Add to this the growth of women-focused crowd-funding venues (such as Plum Alley), women-focused angel investing groups (such as Pipeline Angels, Portfolia, and Golden Seeds), and for-women business loans (through the Tory Burch Foundation), and you've got real momentum. The impact of all of this? Success begets success. As more of these companies are successful, the bigger venture capital dollars will come into these businesses... though it may still take a while for their "pattern recognition" mode of doing business to recognize these seismic shifts. These women-run businesses will grow the economy. And many of them will make the lives of other women better (and more fun). I sort of doubt Rent the Runway was ever going to be started by a guy. Nor was Birchbox. Nor was Dry Bar. And nor was Ellevest. And I know this, because I presented the opportunity to any number of male CEOs in financial services, who simply weren't able to see women investors as anything but a niche market. These businesses will also provide great places for other women (and men) to work. In fact, the women of Ellevate Network tell us that they often start businesses in order to build the businesses at which they want to work... and the No. 1 reason they accept a job is "meaning and purpose." So it stands to reason that many of these companies will provide modern, people-friendly work environments. The losers? Those companies who don't "get it" and keep operating as though the rules of the past for engaging women (mostly male leadership teams marketing to women... and the belief that simply sponsoring a big female diversity group that hosts lots of events means your company is female-friendly). Before, our choice was to stay at those companies and chip away at the issue or head home; today, it's much more attainable for us to start our own thing. So the Big Idea for 2016? We are entering the golden age of female entrepreneurship. The Bigger Idea? Women will begin to recognize this, and the power we have to control our own economic and financial fate.